There were two solo artists who changed the course of country music history in the nineties. The first was Garth Brooks, who ushered in the boom years with his mega-selling albums No Fences and Ropin’ the Wind. The second was Shania Twain, who permanently altered the female point of view in country music with her mega-selling albums The Woman in Me and Come On Over. Twain’s debut album was decent enough, with some charming singles like “What Made You Say That” and the Gretchen Peters-penned “Dance With the One That Brought You” being among the highlights. But it was the combination of Twain’s pen and Mutt Lange’s production that made her a superstar. Throughout her career, she’s been a champion of mutual monogamy and carefree independence. She didn’t protest for women to be treated with equality and respect so much as write from the assumption that no other option had ever existed. For all the heat Twain gets for being too pop, it’s hard to imagine anything this country getting played on even country radio today, let alone pop radio. She’s one of the most successful female country artists of the past two decades, and though it was the 2000s that brought her most of her accolades, Martina McBride became a star in the nineties. She also released her strongest music during that decade, and her first three albums remain her strongest efforts to date. It predates her breakthrough hits, but anyone who watched CMT back in the early nineties will remember the powerful video clip that accompanied McBride’s stone-countriest performance. It took this song 20 weeks to reach the #2 position, a glacial pace back in 1993. But the “Born in The U.S.A.”-borrowed power chords still sound cool today, so it’s no surprise that this was a big hit. When you’re a teenager, parents can give you all the advice in the world, based on their wealth of experience, because, after all, they were once teenagers too. But will you listen? Is it really possible to separate parents’ advice from parents’ perceived restrictions? It’s a rare teen who can. So, Taylor Swift’s advice to 15-year old teens, though specifically targeting an age, is likely a godsend for parents, as Swift’s young age is much more relatable to the high school demographic than they can ever hope to be. As Taylor has comported herself very respectably so far, she has become an ideal role model for teens experiencing the angst of high school life. She’s been there, not so long ago, and she has done a remarkable job of remaining relatable to the population to which she sings. Therefore, she likely feels much more relevant than the parents and other well meaning adults who are forced to speak from somewhat distant memories. Sugarland has gone ahead and brought back the bootleg. 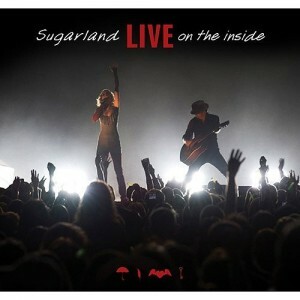 Their latest release is a CD and DVD combo that captures the essence of their live performances in two different ways. The DVD goes the conventional route, capturing one concert from start to finish in Lexington, Kentucky. The duo performs nearly all of their hits, and it’s a show with very little filler. They’ve had quite a few hits over the past few years, and they’ve held up well. Sure, there are few of them that pack the punch of “Something More” or “Stay”, but they do their best to keep the older material fresh by updating the arrangements, and their unlimited and contagious enthusiasm for being on stage makes even the trite ones like “Settlin'” and “All I Want to Do” quite entertaining. They make a darn good case for another Entertainer of the Year nomination. There are so few country artists who are able to radiate joy from the stage, and those that can do it end up with the audience in the palm of their hand, willing to do even ridiculous things like blow bubbles or sing a song about a drunk driving death in perfect unison. 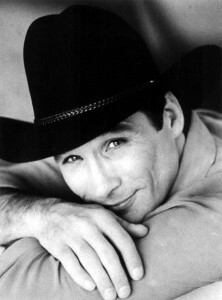 Clint Black burst onto the country music landscape with the famed Class of ’89, as one of the group’s leading members. With his neo-traditionalist sound, he caught people off guard with his uncanny channeling of his hero, Merle Haggard. As time passed, we would quickly learn that Black was his own man as he earned two triple Platinum albums, four Platinum albums and one gold album. Moreover, he would soon establish his own sound, which the country music audience was more than willing to accept. It is impossible not to include Clint Black’s first single in his Starter Kit. Not only is it a great song from a seminal album, it sprung to the top of the charts and introduced people to a voice that eerily resembled that of Merle Haggard’s. Our readers have clearly responded well to our Back to the Nineties features this month. (Fret not, there are more on the way.) Part of the reason is that so many of you, like myself and Leeann, first discovered country music in that decade. This isn’t too surprising, as the nineties helped establish country music as a genre with widespread appeal. The suburbanization of once-rural America reached its apex, and at the same time, CMT deeply penetrated the cable market. For you newbies, the channel was 24-hour videos back then, with remarkably democratic video rotation. A clip in heavy rotation would only be seen two more times a day than one in light rotation. This is the reason both Mutt Lange and Sean Penn discovered Shania Twain through her “What Made You Say That” clip, which was played extensively on the channel despite the song stalling at #55 at radio. The New York country radio station back then would do a “Country Convert” feature every morning. A radio listener would call in and say what song converted them to country music. Newbies to country music back then had a religious zeal to them, and would work very hard trying to convince others to fall in love with the music. 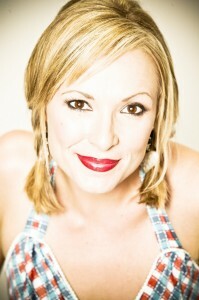 Katie Cook has been a staple on Country Music Television since 2002, hosting various series and specials such as CMT Most Wanted Live, the MWL concert series, MWL Star, MWL Stacked and the popular weekly entertainment magazine show, CMT Insider. 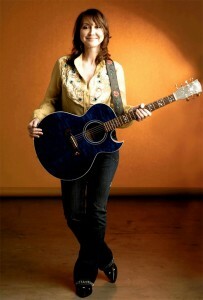 But her experience with country music is actually three-fold: along with being embedded in the industry as a television host and interviewer, she’s also the daughter of Nashville Songwriters Hall of Fame member Roger Cook, and she’s both a singer and songwriter herself – she released an album in 2000 as part of a band called Reno and continues to hone her songwriting skills. Cook took some time to share with Country Universe her opinions on the state of country music, the evolution of CMT and her recent White House visit, among other topics. It seemed like Chely Wright was on the cusp of stardom for her entire career, releasing several albums in the nineties that garnered enough interest to keep her signed but not quite enough to make her an established star. She finally scored a big hit when “Single White Female” went #1, and the album of the same name would eventually be certified gold. But she wasn’t able to maintain the momentum with her follow-up project, and that #1 hit remained her only trip to the top ten. In recent years, she released an outstanding EP called Everything and a full-length album called The Metropolitan Hotel which was one of her most consistent efforts. Her biggest pre-MCA hit was remarkably intriguing, especially on the first listen when you’re trying to figure out what she’s looking all over the house for. Deana Carter was one of the first post-Shania Twain female country stars, and she quickly proved she could sell in big numbers. Thanks to the omnipresent smash “Strawberry Wine”, she soon owned a debut album that went platinum five times over. Radio and retail weren’t as kind to her follow-up projects, and she’d establish a pattern that would later be repeated by Gretchen Wilson – big hit, big debut, sophomore slump, third-album bomb, go indie. Her more recent albums are worth checking out, but acquaint yourself with these major-label essentials first. from the 1996 album Did I Shave My Legs For This? In an instant, Carter became a star. She was nominated for five CMA awards on the strength of this hit. She won Single of the Year, and Matraca Berg and Gary Harrison shared Song of the Year.